Toddler Approved! 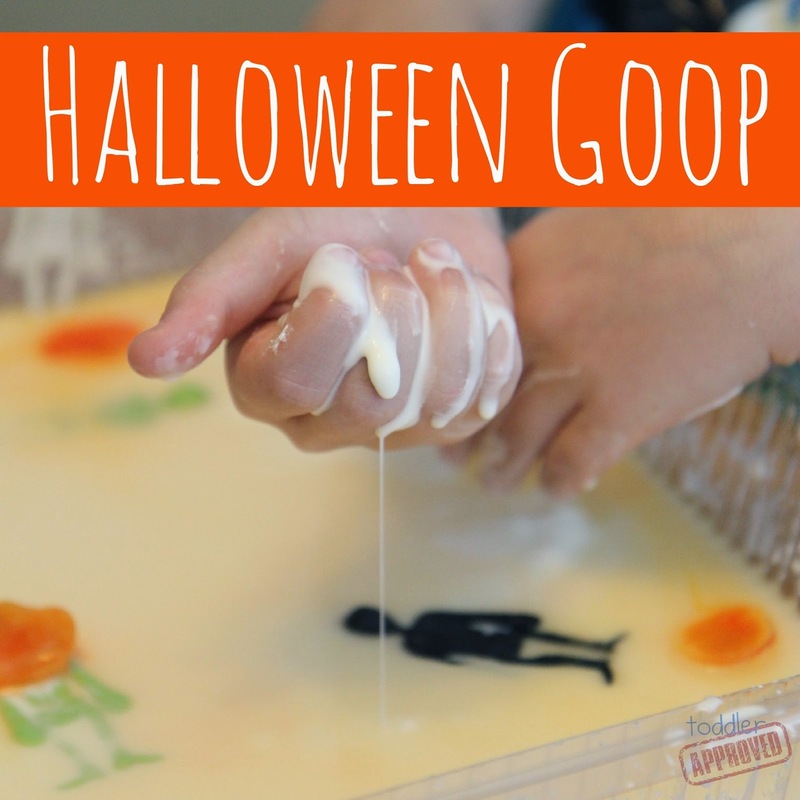 : Halloween Goop for Kids! Goop (or oobleck) is one of our favorite materials for sensory play. I think I like it more than my kids. Since we are having fun with Halloween activities on the blog and in our Halloween newsletter this month we thought we'd share some fun Halloween sensory ideas too. 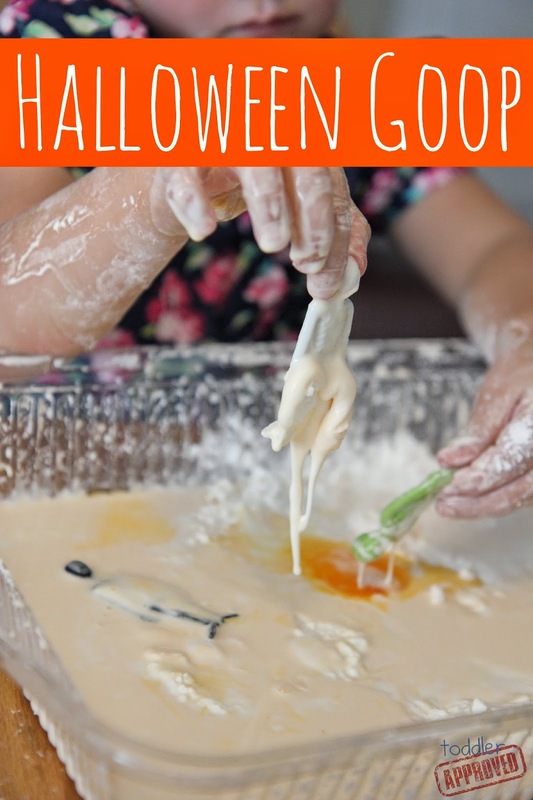 Over the weekend we made some special Halloween goop using a few Halloweeny supplies. This activity was a hit with all three of my kids (ages 6,3,1). Scroll down for more details. Before we got started we made little ice pumpkins using orange food coloring, water, and our mini Wilton pumpkin mold. If you haven't made goop before, it is super easy. All you need to do is mix cornstarch with water until you get a consistency that is not too liquidy and not too dry. I like to use a plastic fork for mixing to break up all of the cornstarch bunches. I also let my kids mix it up with their hands because they think it is really cool. For this activity we also bought pumpkin spice to mix into the goop because it smells yummy and Halloweeny! Once the goop was all mixed up we added our frozen pumpkins to the goop! Next we added some plastic Halloween toys and the kids had a blast exploring, scooping, burying, and finding the toys in the goop! The orange pumpkins melted and changed the goop colors a bit and the kids had fun watching that, mixing the pumpkins into the goop, and trying to find ways to melt the pumpkins faster. If you are a goop fan, check out these other goop concoctions that are perfect for Halloween!